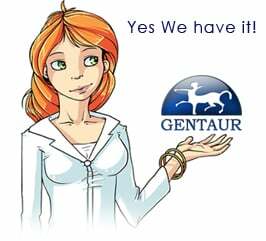 Gentaur antibody-antibodies.com The Marketplace for Antibodies : A novel splice variant of calcium and integrin-binding protein 1 mediates protein kinase D2-stimulated tumour growth by regulating angiogenesis. A novel splice variant of calcium and integrin-binding protein 1 mediates protein kinase D2-stimulated tumour growth by regulating angiogenesis. Protein kinase D2 (PKD2) is a member of the PKD family of serine/threonine kinases, a subfamily of the CAMK super-family. PKDs have a critical role in cell motility, migration and invasion of cancer cells. Expression of PKD isoforms is deregulated in various tumours and PKDs, in particular PKD2, have been implicated in the regulation of tumour angiogenesis. In order to further elucidate the role of PKD2 in tumours, we investigated the signalling context of this kinase by performing an extensive substrate screen by in vitro expression cloning (IVEC). We identified a novel splice variant of calcium and integrin-binding protein 1, termed CIB1a, as a potential substrate of PKD2. CIB1 is a widely expressed protein that has been implicated in angiogenesis, cell migration and proliferation, all important hallmarks of cancer, and CIB1a was found to be highly expressed in various cancer cell lines. We identify Ser(118) as the major PKD2 phosphorylation site in CIB1a and show that PKD2 interacts with CIB1a via its alanine and proline-rich domain. Furthermore, we confirm that CIB1a is indeed a substrate of PKD2 also in intact cells using a phosphorylation-specific antibody against CIB1a-Ser(118). Functional analysis of PKD2-mediated CIB1a phosphorylation revealed that on phosphorylation, CIB1a mediates tumour cell invasion, tumour growth and angiogenesis by mediating PKD-induced vascular endothelial growth factor secretion by the tumour cells. Thus, CIB1a is a novel mediator of PKD2-driven carcinogenesis and a potentially interesting therapeutic target.